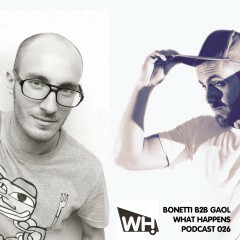 Bonetti B2B Gaol in the mix exclusively for our podcast series. Sit back, relax and enjoy. Please also check their new and hot ‘Feel The Groove With Every Move EP’. Available now.